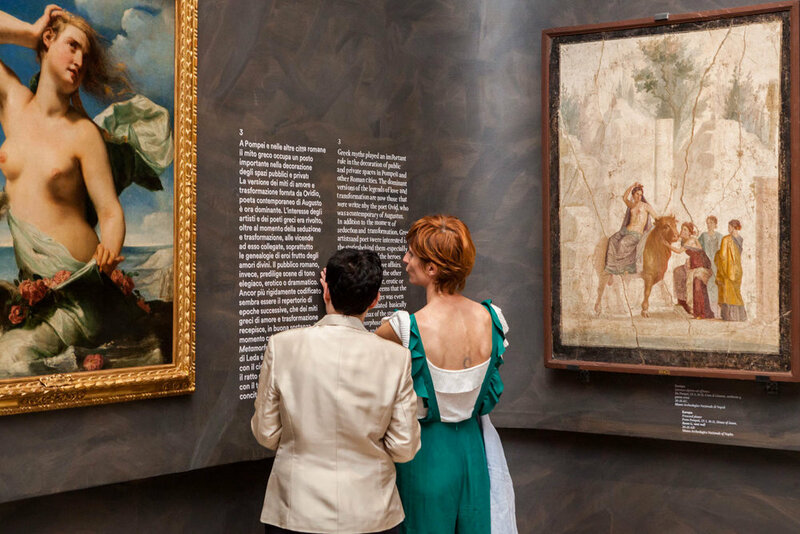 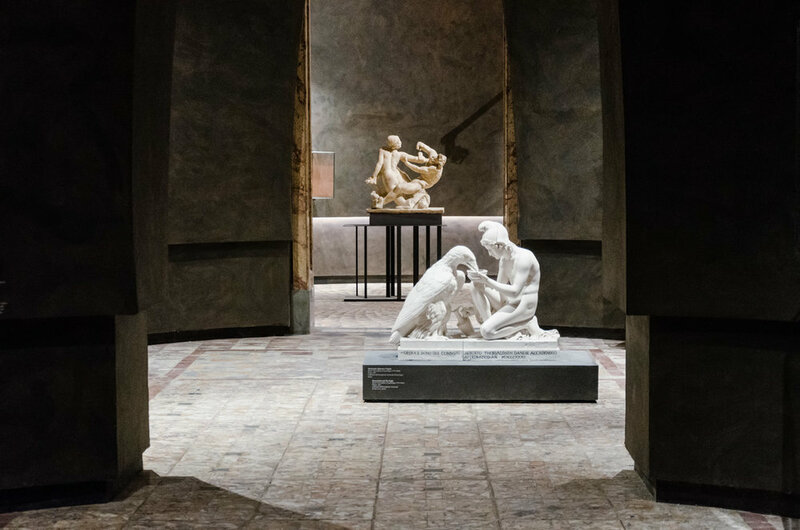 The project exposes, in the spaces of MANN, the National Archaeological Museum of Naples, about 80 works of the Greek-Roman classic era and their modern reinterpretations, depicting the myths of transformation of the Metamorphoses of Ovid. 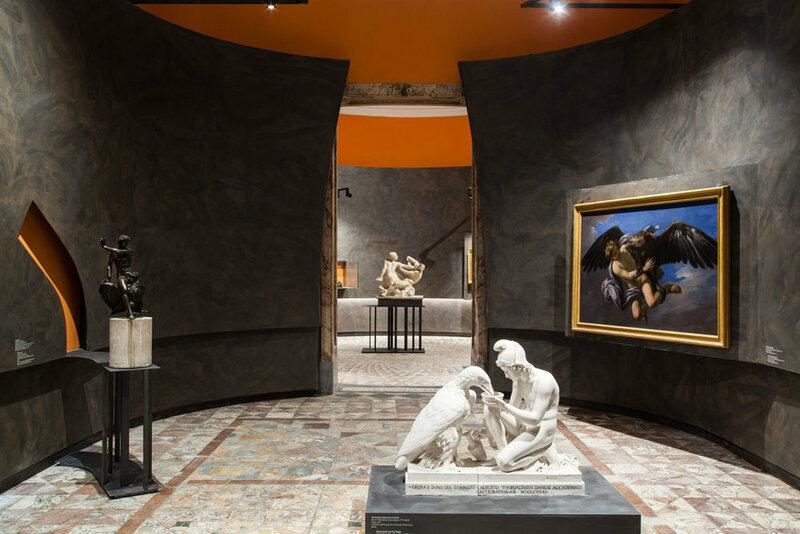 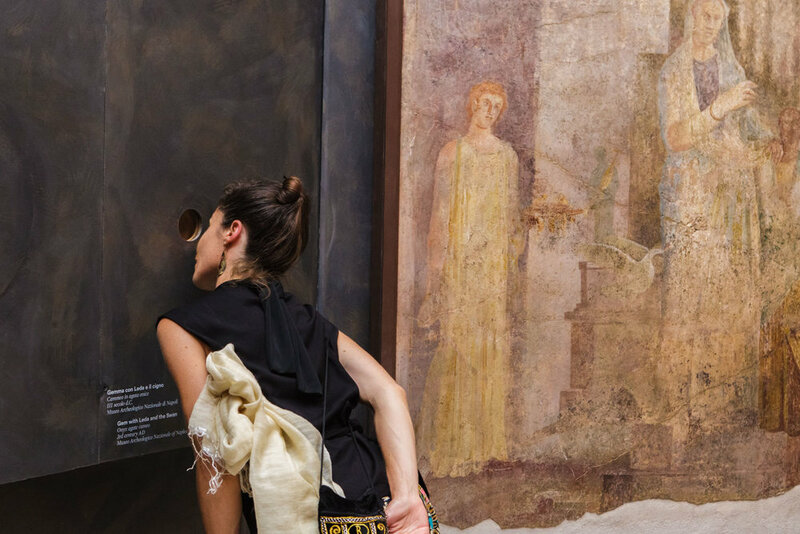 The exhibition is designed to enhance the quality of the place: the dark colors of the vertical supports focus the attention on the restored floor mosaics from Pompeii and Herculaneum, which are re-unveiled to the public for the first time in decades. 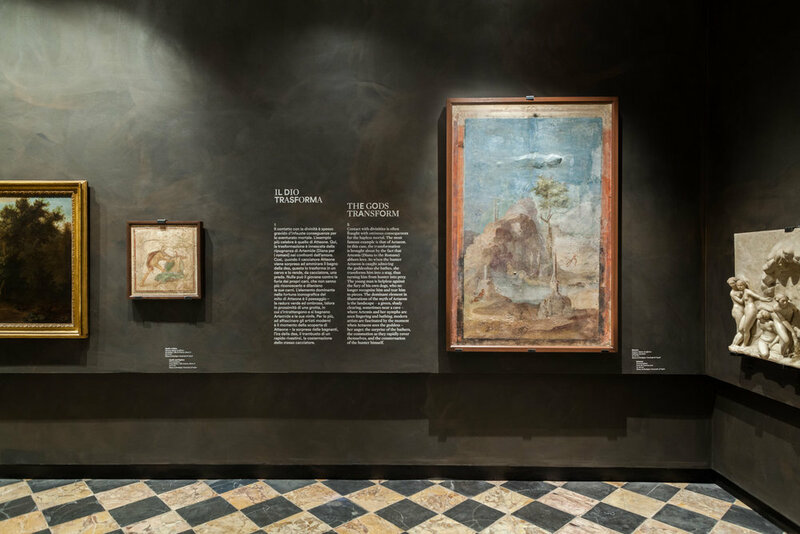 The exhibition shows pieces from Magna Grecia and some of the most prestigious Italian and foreign museums (among others, the Hermitage of St. Petersburg, the Musée du Louvre in Paris, the J. Paul Getty Museum in Los Angeles and the Kunsthistorisches Museum in Vienna).